Without a doubt, today’s e-mail and collaboration tool of choice is the Microsoft Exchange Server. With millions of Internet connected deployments each year, it makes sense that most Smartphone’s include support for the Exchange platform. The common denominator for this support is Microsoft's ActiveSync technology. 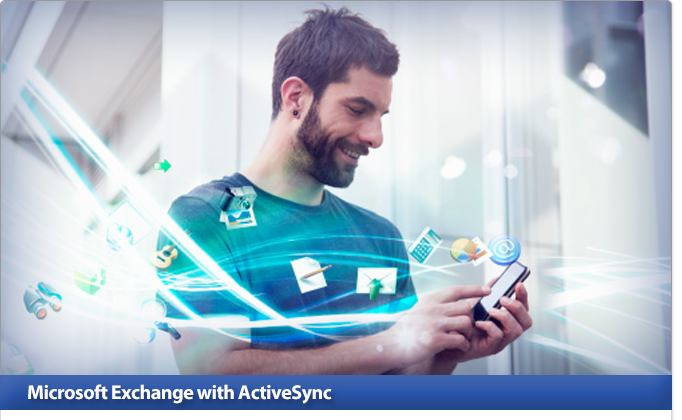 Simply put, ActiveSync enables the mobile device user to synchronize their Microsoft Exchange data with their mobile devices just like they do with their desktop Outlook. 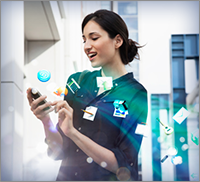 This ability has revolutionized the way mobile users’ access collaborative data such as e-mail, contacts and schedules. At The Inter Connect Network, we specialize in the secure, encrypted deployment and hosting of Microsoft Exchange with ActiveSync technology throughout the whole range of ActiveSync devices. Are you interested in collaborative messaging? Please give us a call to find out what we would do to enable collaborative messaging in your organization. We’ll be happy to visit your location to discuss how your organization could benefit from a collaborative messaging system. We'll provide you with a free system analysis and quote for our flat rate services taking the guesswork out of your messaging solution. Give us a call and find out what we can do to provide you with the highest level of confidence and efficiency in your IT solution. We’ll be happy to come by your location and discuss your situation. Then if you like we’ll provide you with a free system analysis and quote for our flat rate services.